What’s the hottest thing Disney has going? It’s the Disney Vacation Club! That’s right, the Disney Vacation Club (DVC) is hottest thing Disney has going right now. So this month we are going to take a deep dive into the hot, hot hot Disney Vacation Club. 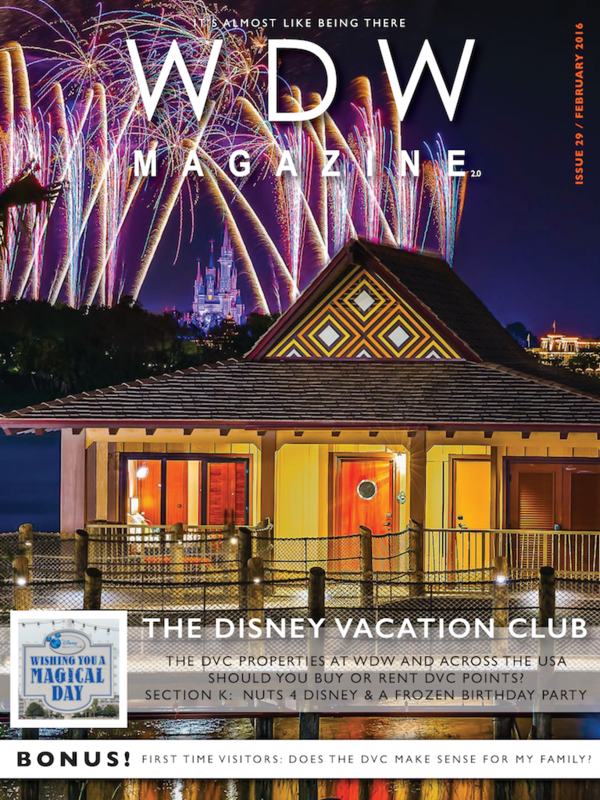 Our features section this month talks about the Disney Vacation Club, how it works, what it costs, the history of the DVC and takes a look at all the DVC properties World Wide. It’s jam packed with great information. This month’s Helping Hands section may be the best one ever (and that’s saying a lot.) Dave kicks it off with a great look at whether the DVC makes sense for your family. Kimberly talks about having peanut allergies at WDW, then Carl takes on whether it makes sense to buy, rent or avoid DVC points. Finally our Photography Team talks about taking great Star Wars pictures. This month in the Best of WDW, we look at the Caribbean Beach Resort, Mickey’s Philharmagic, Sunshine Seasons food court in the Land at Epcot, and World Traveller gift shop in the International Gateway. That’s a pretty cool list. Section k! is just Kewl! And it keeps getting better each month. This month Wally goes flying around WDW in Nuts 4 Disney, Courtney sets up an elegant Frozen party spread that will knock your socks off. Our downloadable games include a Word Search, Cross Word puzzle, and a cool coloring page. Cindy talks about Family Fun Time in line and Emily and her little brother Ethan share their love of Christmas at WDW. The FanZone kicks off with the answers to our questions of the month. Guess which DVC Resort was your favorite? Karyn talks about her love of a Mouse named Mickey and James shares a love at first sight moment at WDW. Our Meet The Team segment introduces our artist, Maria and our Pinterest expert Linda. Star Wars Vinylmations and how to catch Tsum Tsum fever are next followed by a recipe for Boma’s Carrot Ginger Soup. Yummy. 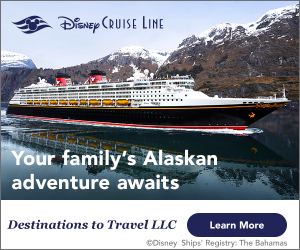 This month we thought it would be appropriate to talk to one of the leading experts on the Disney Vacation Club. So we went out and interviewed David Mullet of David’s Vacation Rentals. For the last 10 years, David has been at the forefront of trading DVC points. Lots of good insights here. Star Wars is everywhere. Right? So we thought it would be fun to have a special insert featuring Star Wars: The Force Awakens and it’s impact on Walt Disney World. Check out the pictures and information about the new Star Wars attractions and a an interview with Judd who went to the big premier in Disney Springs. We’re not done yet. In Around the World, we see the latest Walt Disney World news and history, we take a look at Disney’s Magical Express, some fun facts about the DVC Resorts, and a wild and rocking showdown between Rock ‘n’ Roller Coaster and California Screamin’. There are 170 pages of FUN again this month. What are you waiting for?